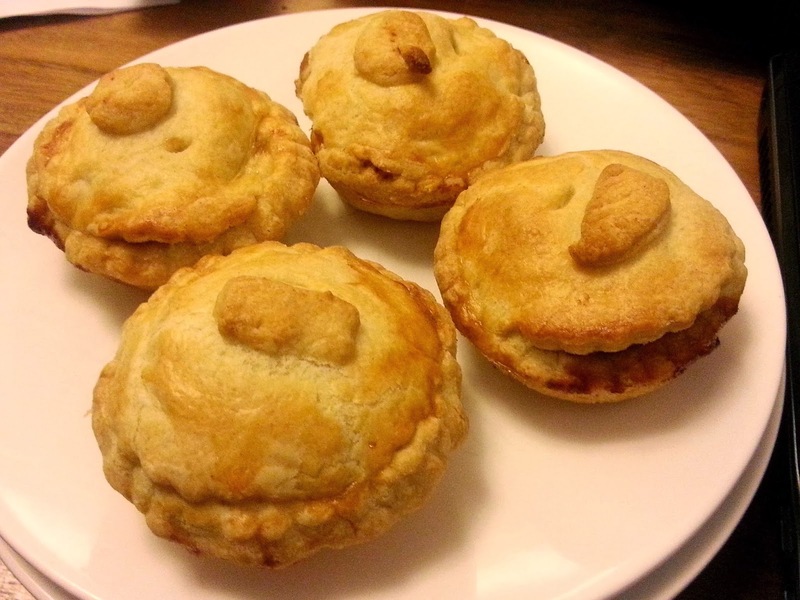 You’ll be glad to hear that I put my Christmas holiday to use by testing out mince pie recipes. Or, more specifically, mince pie fillings. 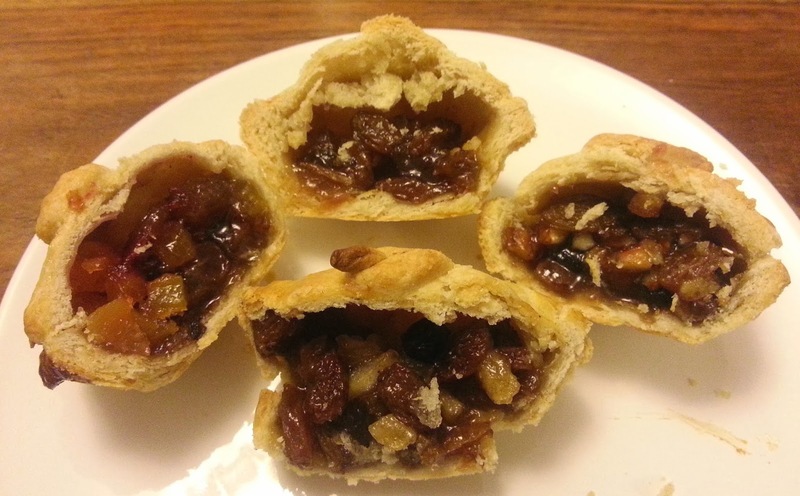 I have a tried and tested shortcrust pastry that I use every year with a jar of shop-bought mincemeat, but that would have been a very short and rather boring review. Shortcrust pastry is dense enough to hold in all the filling, but crumbly enough that it doesn’t feel heavy. I learnt to make pastry using ounces, but I’ve converted the weights to grams as well. Rub together the flour and butter until it resembles breadcrumbs, then use a metal spoon to gradually add in the cold water until the mixture sticks together. I usually start with three tablespoons of water, then add more one at a time. Once the ingredients start to stick, you can squish it all together into a ball and then roll it out on a floured surface. Use circular pastry or biscuit cutters to cut out large circles for the pie bases and smaller ones for the lids, then assemble your pies! I made a batch of 8 mince pies using the quantities above but if you want to make more just use 12oz (340g) flour and 6oz (170) butter, and depending on the size of your tart tin you’ll get between 12 and 18 pies. The panel all agreed that there was something a bit wrong about this one. Mince pies should not be crunchy – you can’t really tell that you’re eating almonds so it feels more like chewing on lumpy pastry. Nuts at Christmas are delicious, but eat them separately and don’t put them in a pie. This one didn’t go down very well either. It’s nice, but a bit too sweet, and the general consensus was that a proper apple pie followed by a proper mince pie would have been much better than combining the two. This combination was very popular. It tastes lovely and isn’t too sweet, and cranberries are such a Christmassy fruit that they make the pie taste a bit more special. The apricot was a little bit chewy, but this definitely had the feel of a more upmarket mince pie filling. This was the favourite pie of our panel. Ginger works very well with mincemeat, tasting wintery and spicy without altering the texture too much. If you’re looking for something to spice up your shop-brought mincemeat, this is the ingredient for you!